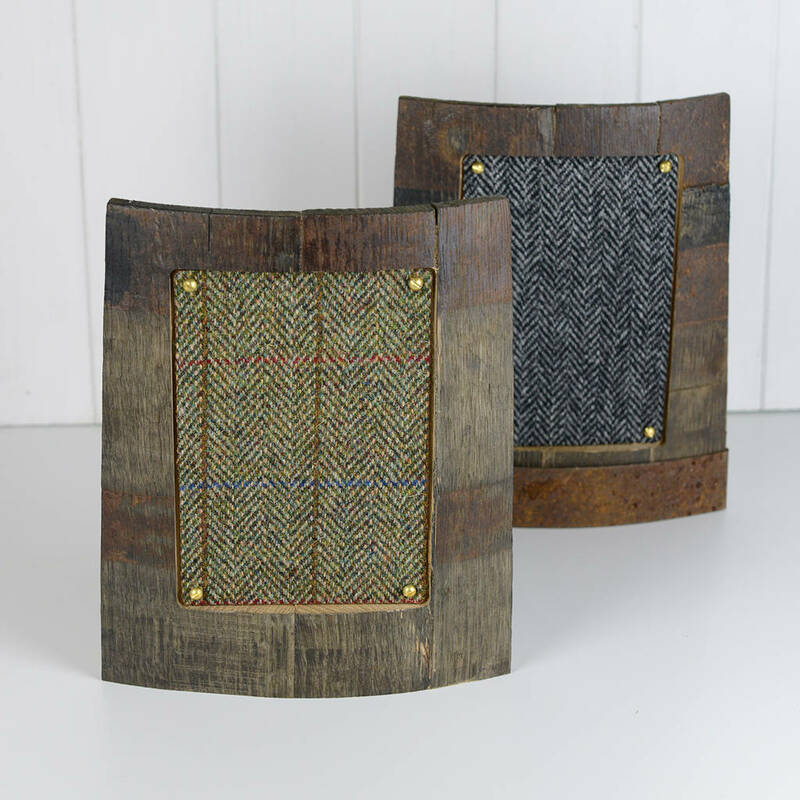 Handmade in Scotland from Whisky barrels. Each supplied with a unique reference number to find the distillery. A gift that's one of a kind. A fantastic gift for a whisky lover. 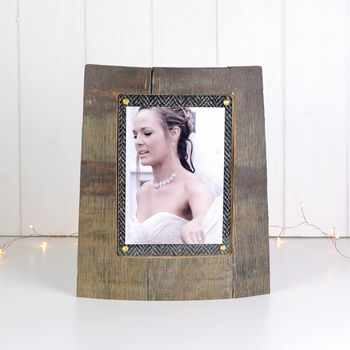 A gorgeous rustic addition for the interior with a story to behold. 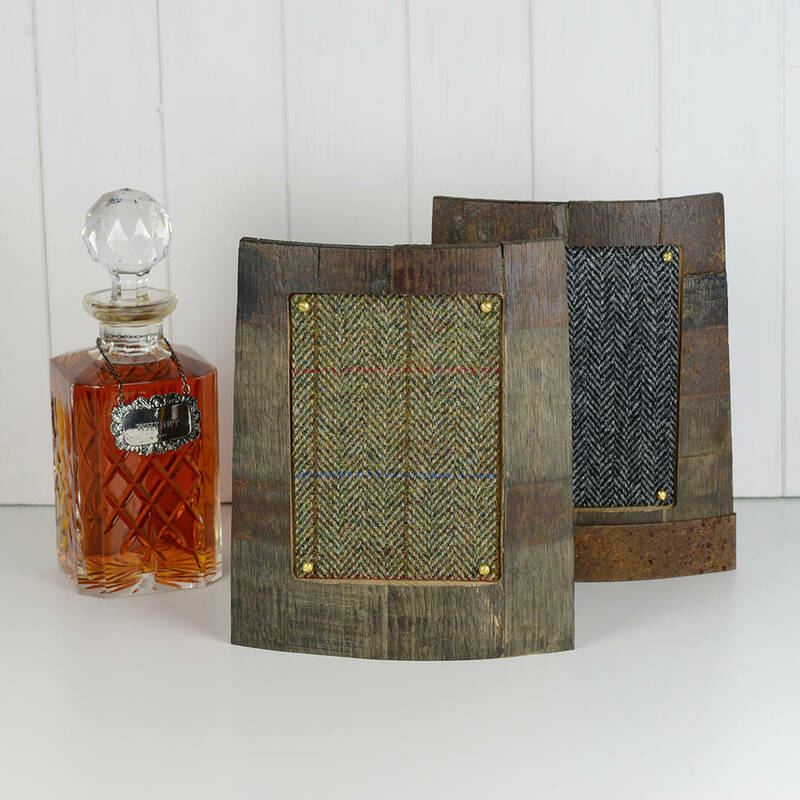 Handcrafted from Scottish single malt whisky barrels. Every frame is unique, in looks, texture and smell! Great care is taken to retain its knocks and patina that the barrel has endured over its lifetime. Detailed with genuine Harris Tweed. This is sourced directly from the weavers in the Outer Hebrides to ensure quality and province. 2 types of frame available. 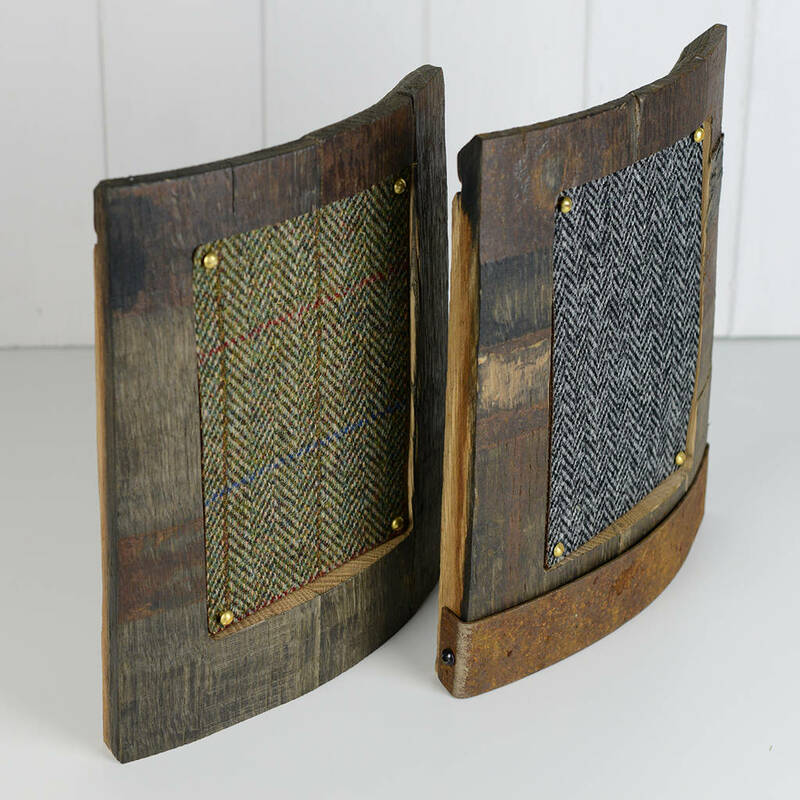 2 Harris tweeds, exclusive and unique to notonthehighstreet. 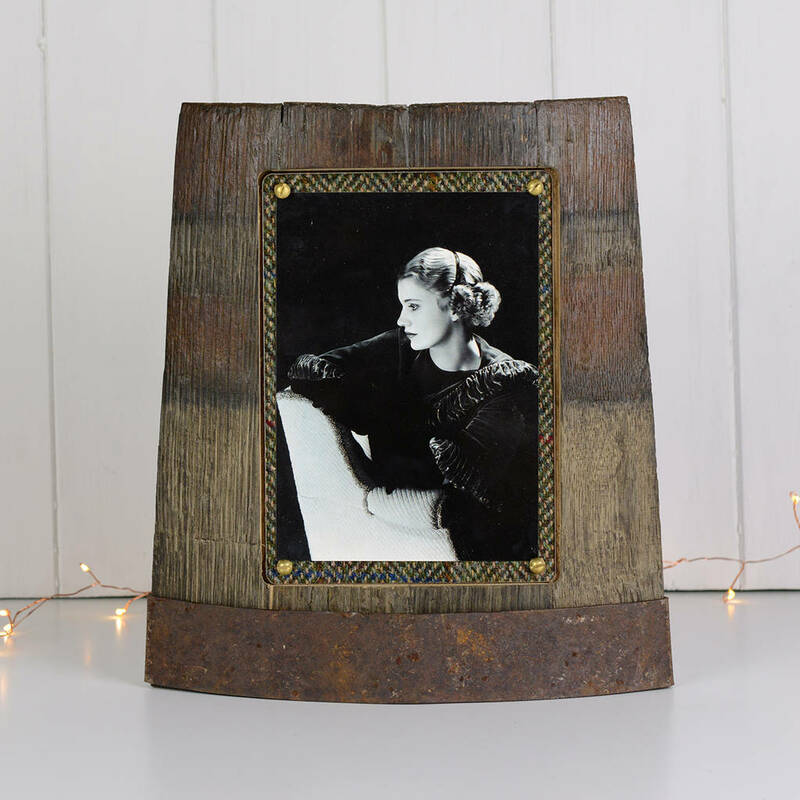 Chime frame - made from the top 1/3 of the reclaimed oak barrel. Freestanding or wall mounted. Approx size 21.5(w) x 25(h) cm. 4x6' photo. 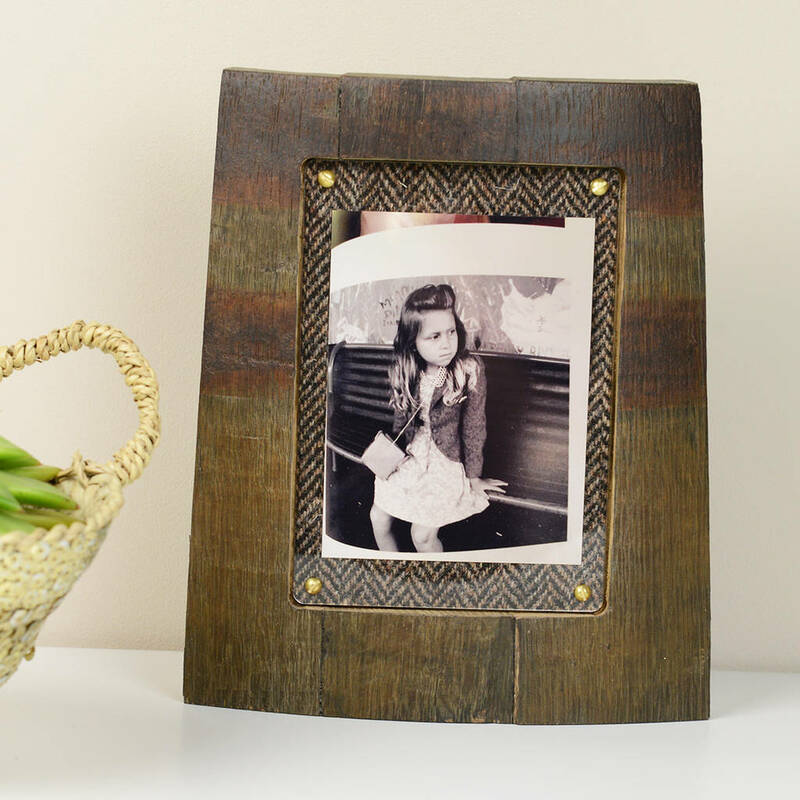 Ring Chime frame - similar to the Chime, however this frame features a steel hoop under the picture display. Freestanding or wall mounted. Approx size 21.5(w) x 25(h) cm. 4x6' photo, suits a portrait image. Wood barrels. Each is uniquely numbered to correlate with the barrel and the craftsman that created the frame. 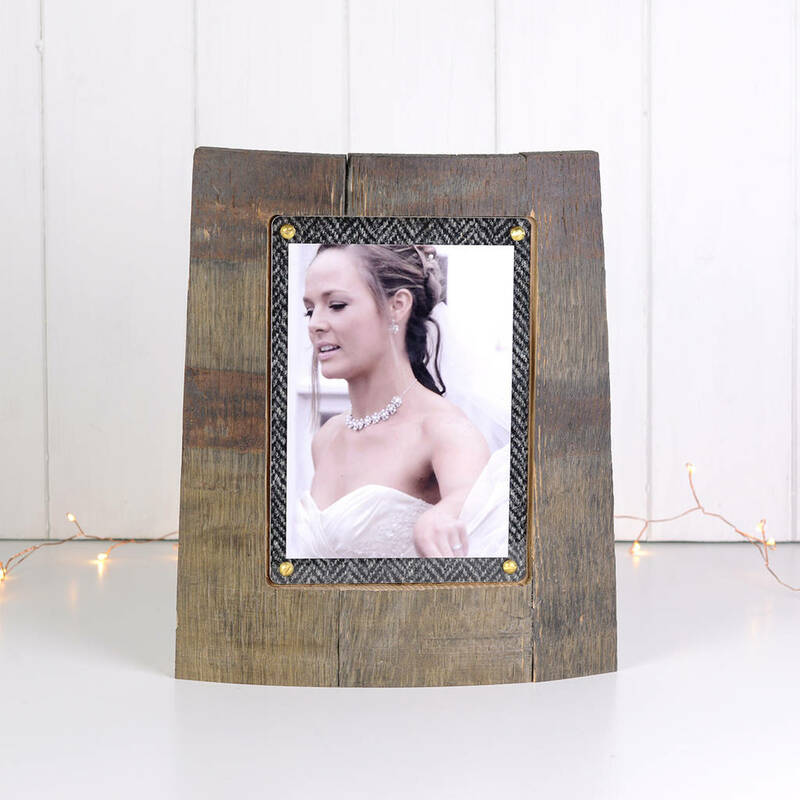 The frame is front loaded, held tight with perspex and secured with simple copper screws. Size vary - please see above.